Leading Manufacturer of ss inter lock, two in one door lock, door hardware and pin cylinder center shutter lock from Aligarh. We hold expertise in offering a wide range of premium quality SS Inter Lock, fabricated using high quality basic material to ensure the compliance with set industrial parameters. The product offered by us are widely acknowledged for durability, high abrasive resistingand termite proof. These products are highly demanded in the market for their creative designs and patterns. Offered locks are scoredfor safety and security quotients. 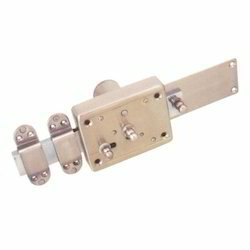 We are a leading organization in offering a finest quality assortment of Two In One Door Lock. These products are manufactured using the optimum quality of materials and latest technology. The longer working life of these product is the key of our offered range of product. We are offering these products at industry leading price. 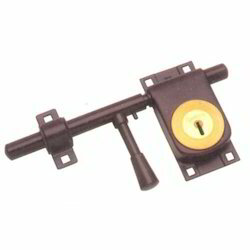 We are reckoned in offering a quality assure range of Door Hardware to our respected clients. We offer these products in both standard and customized finishes in the market. Aesthetically designed, these products are offered at the most economical market rates of the Industry. These hardware can be applied in all types of door materials. 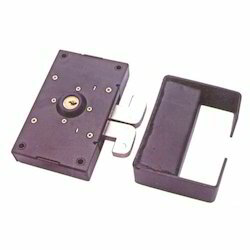 For the purpose of giving maximum satisfaction to our valued clients, we are engaged in offering the finest quality Pin Cylinder Center Shutter Lock in the market. We are offering these products in the market at the leading market price; the offered products are available in various specifications and widely finds its applications in various residential as well as in industrial sectors. These products are known for their commendable strength, durability and industry class quality. 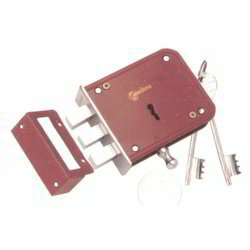 Looking for Shutter Locks ?